WHERE ARE YOU GOING, WHERE ARE YOU FROM? Where Are You Going, Where Are You From? 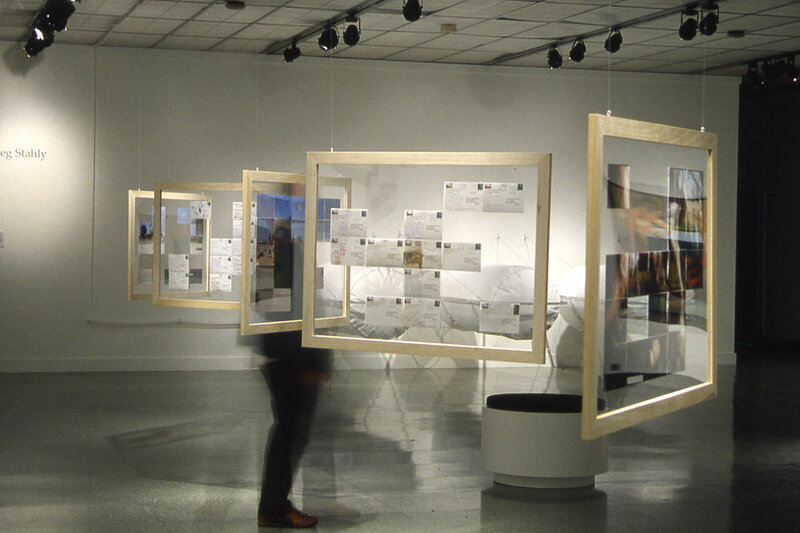 is a multifaceted interactive installation made of postcards. 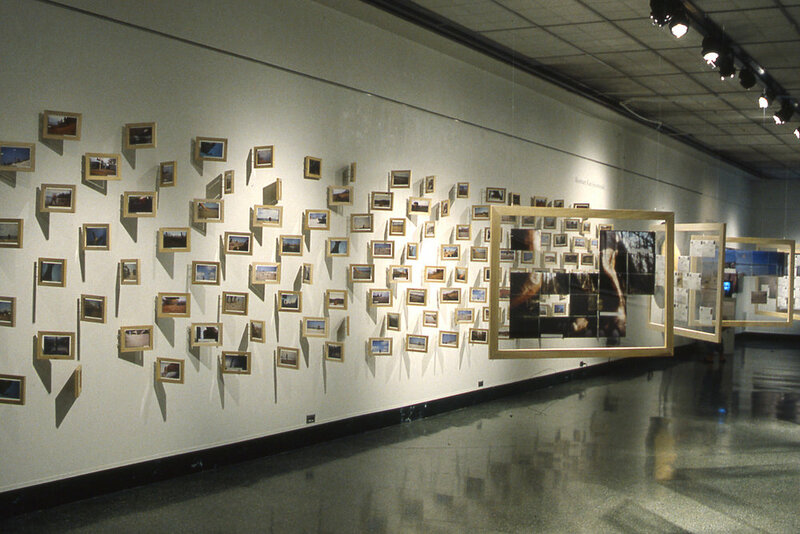 The fronts of the postcards are my own images: color pinhole photographs of places integral to my childhood and early adulthood. 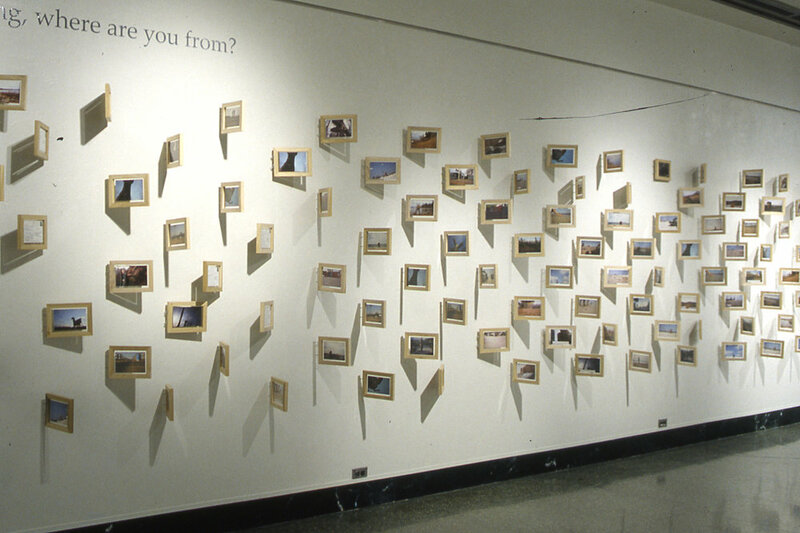 The backs of the postcards pose questions about home, relating to place, and how one defines oneself through these ideas. Over the course of a year, I handed these pre-stamped, pre-addressed postcards out… to friends, to strangers, left stacks of them at rest stops and hotel lobbies, gave stacks to friends across the country to pass out… Over the next year, the postcards came trickling in, each with someone’s handwritten story through their answers to the questions on the back. 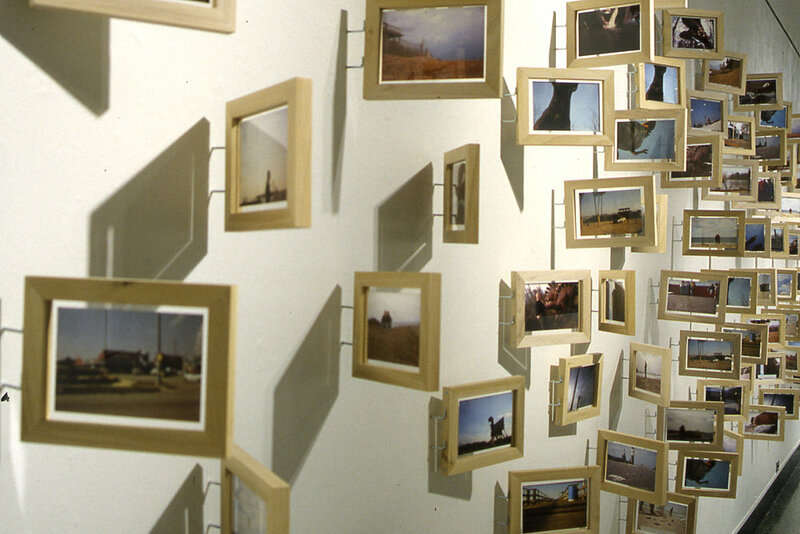 The postcards are exhibited in double sided frames which are mounted with a hinge to the wall, so that the cards can be flipped back and forth.